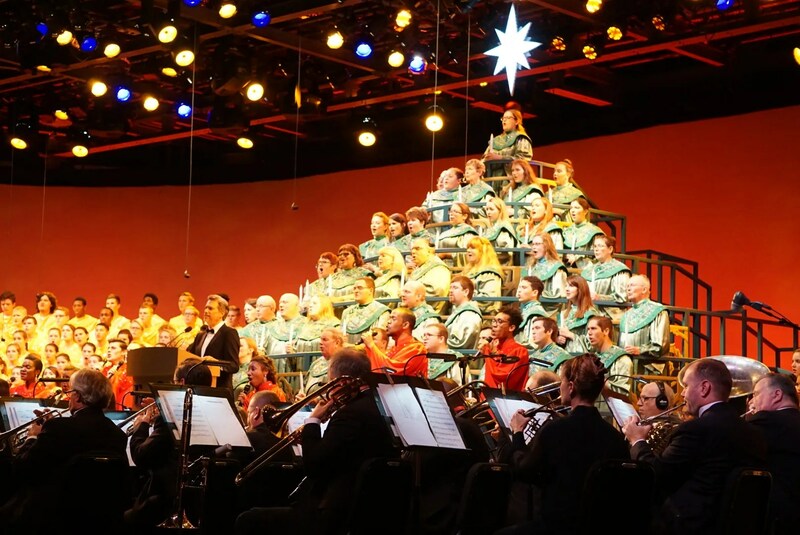 Disney began its Christmas season tradition known as the Candlelight Processional in 1958 at Disneyland in California. 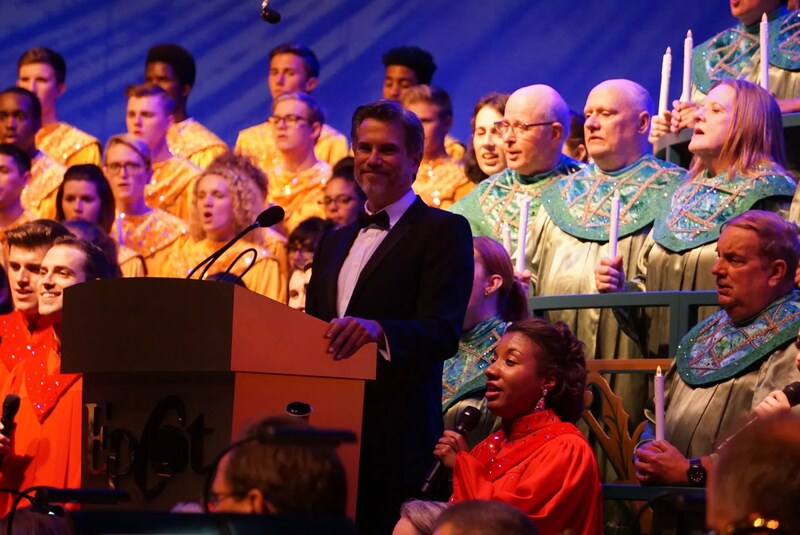 Thirteen years later, in 1971, Walt Disney World presented its first Candlelight Processional at Magic Kingdom with actor Rock Hudson as the celebrity guest narrator. 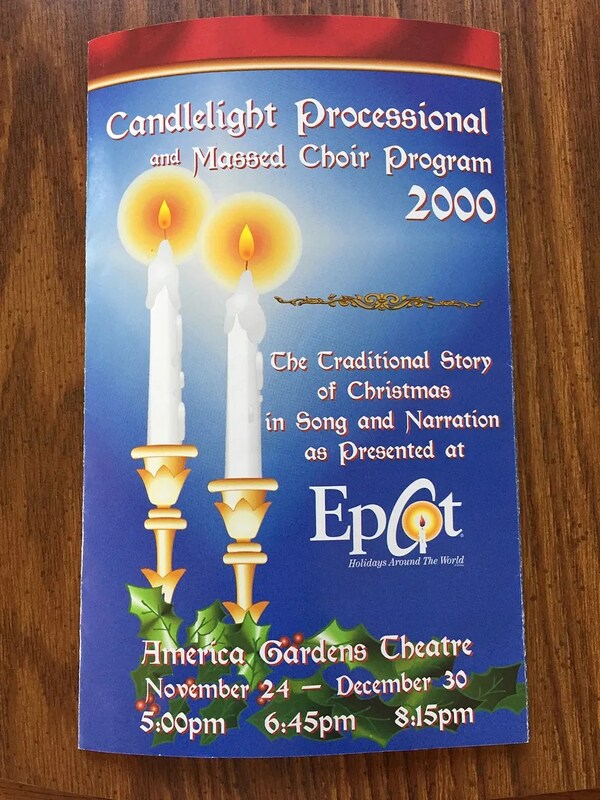 In 1994, the event was moved to the American Gardens Theatre at Epcot. 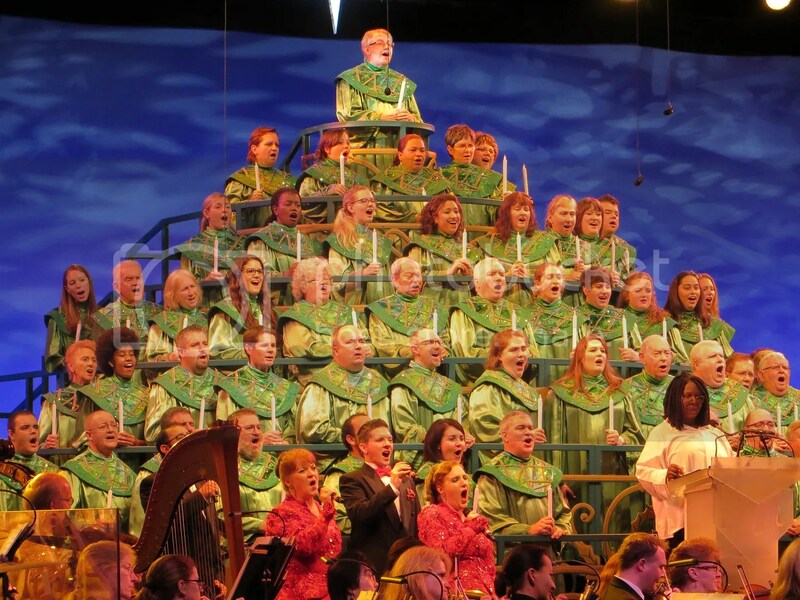 Since that time the Candlelight Processional has been held there every year from late November through December 30th. 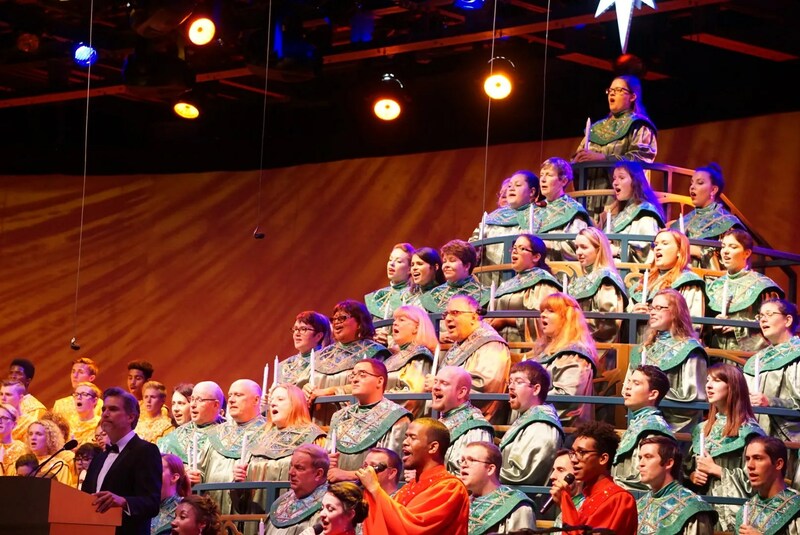 Three times each evening (5:00, 6:45, 8:15) the traditional story of Christmas is retold in song and narration by a 50 piece orchestra, a mass choir and a celebrity guest narrator. 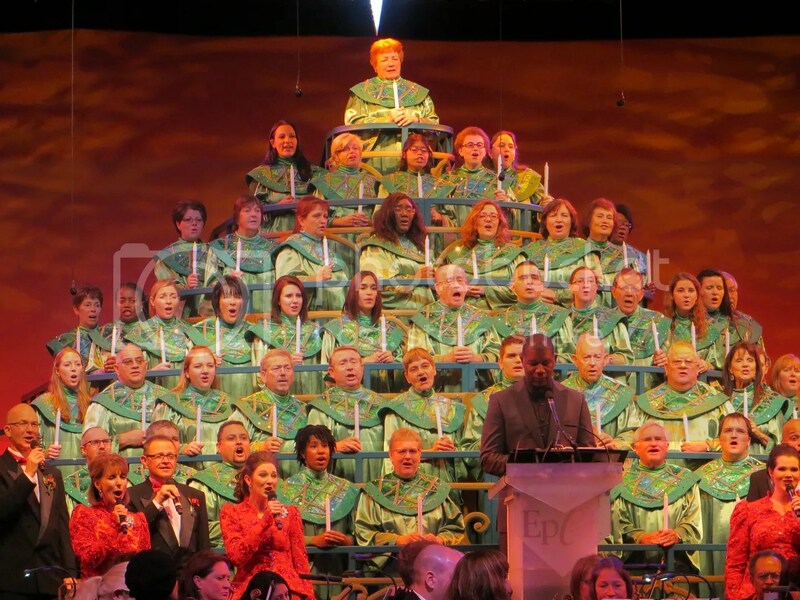 The choir consists of members of Disney’s Voices of Liberty (red & black attire), the Cast Member choir (green robes), and visiting high school and guest choirs (gold robes). 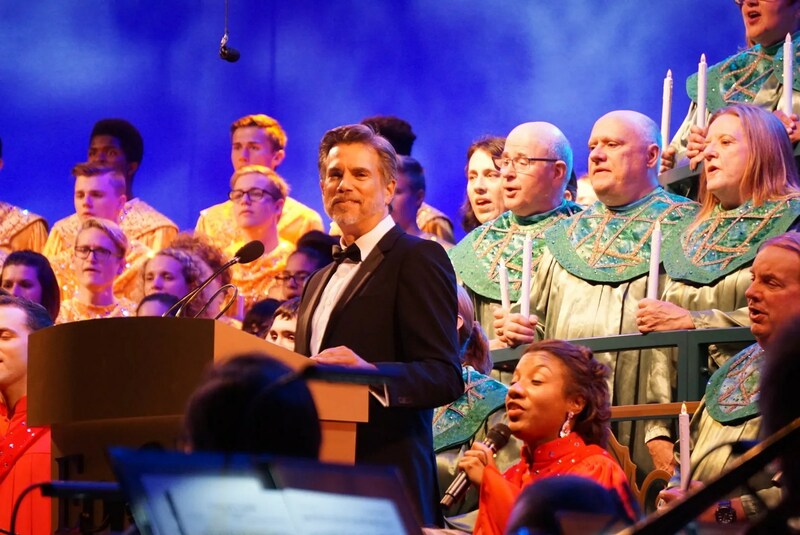 As for the guest narrator, each celebrity usually performs for three nights and each gives their shows a slightly different feeling based on their personality. 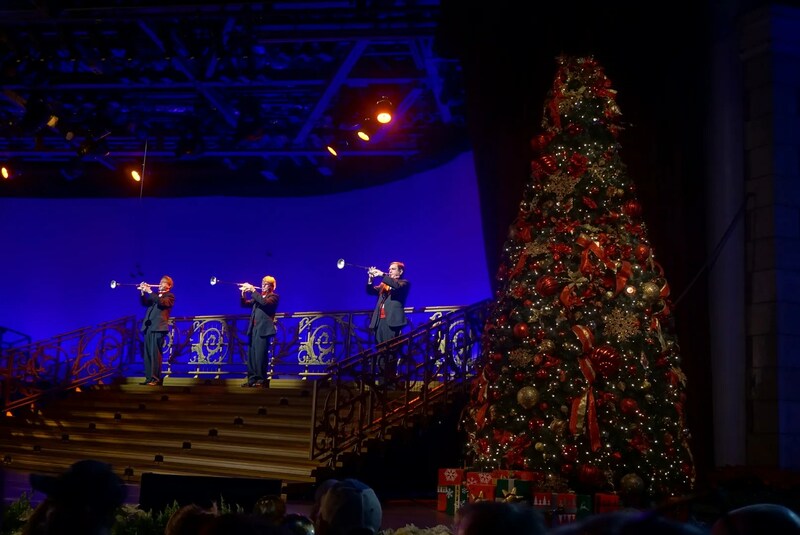 So if you are visiting the Disney World resort during the holiday season, I think it’s worth your time to attend more than one performance with different narrators. I’ve done this…twice. 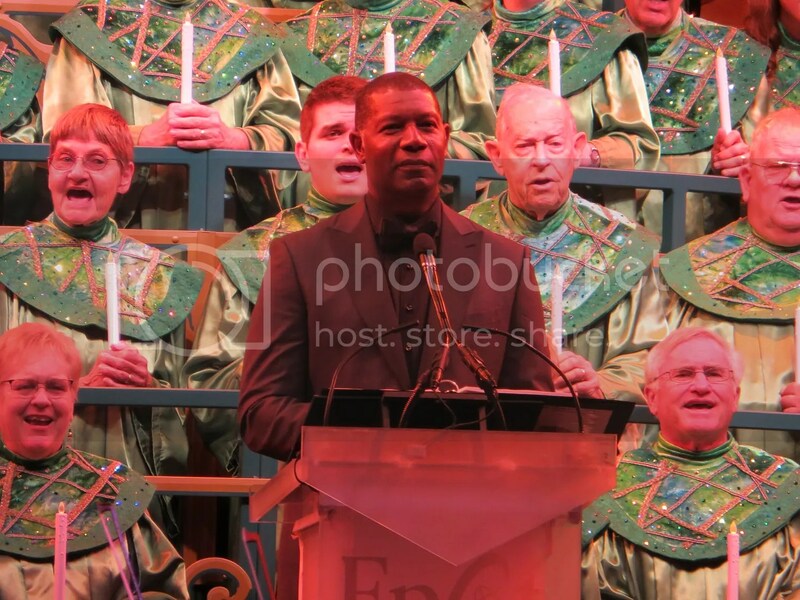 But the first time I saw the Candlelight Processional I really didn’t know that much about it. 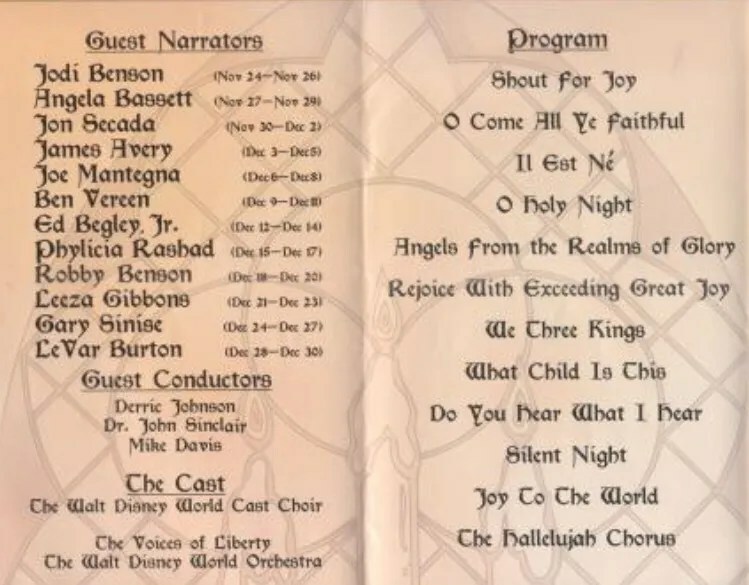 So during our second ever family trip to Disney World in 2000, my family of 5 attended just one show, narrated by singer Jon Secada. My first impression of this show was quite good. I remember being afraid that it wouldn’t hold the attention of our three children (ages 4 – 11) for 45 minutes but that turned out to not be a problem. 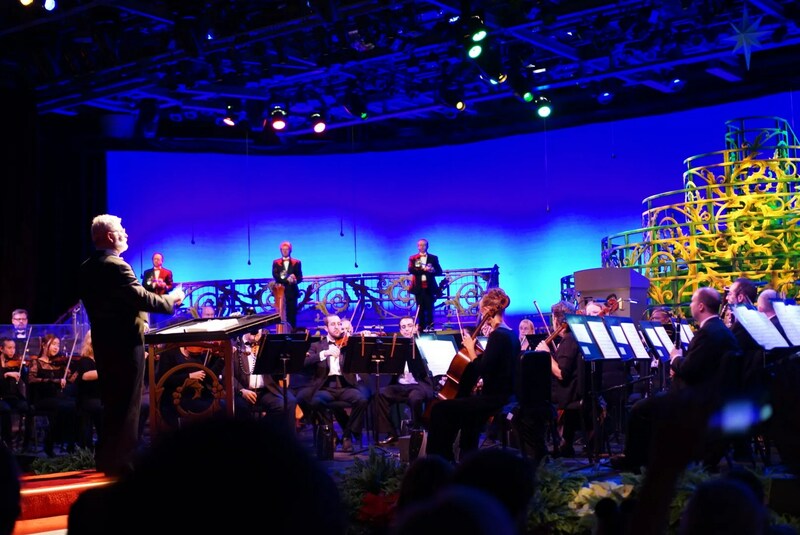 Also of note from this first experience was that we did the Candlelight Processional Dining Package, having dinner at Chefs de France before the show. I would choose to dine at Chefs with the dining package two more times, including my most recent trip in December 2016. 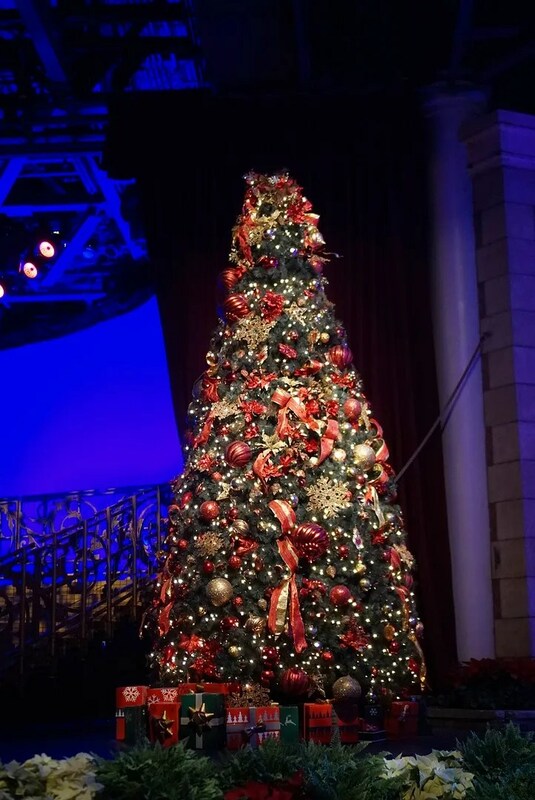 For the other two Candlelight Processional shows I attended, I also used the dining package but chose to dine at Teppan Edo and San Angel Inn. 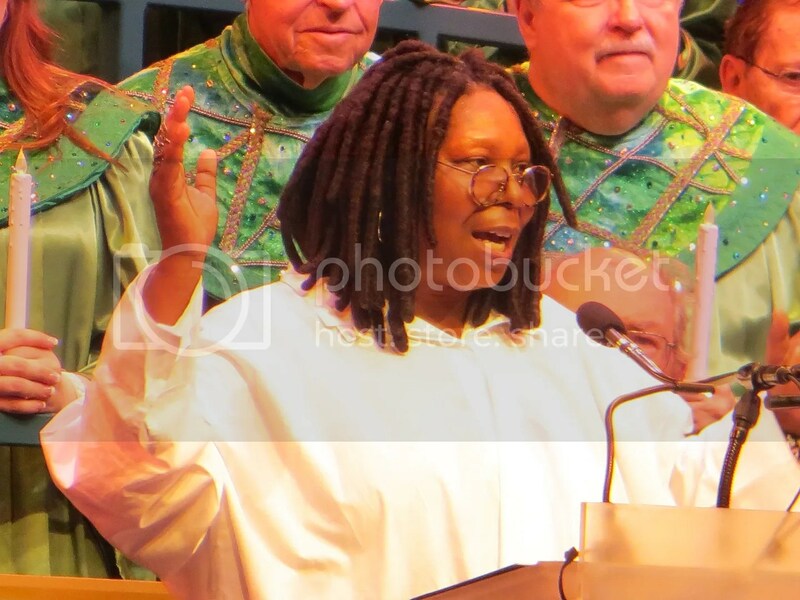 Whoopi added her own unique “flavor” to the readings…think Sister Mary Clarence in Sister Act. 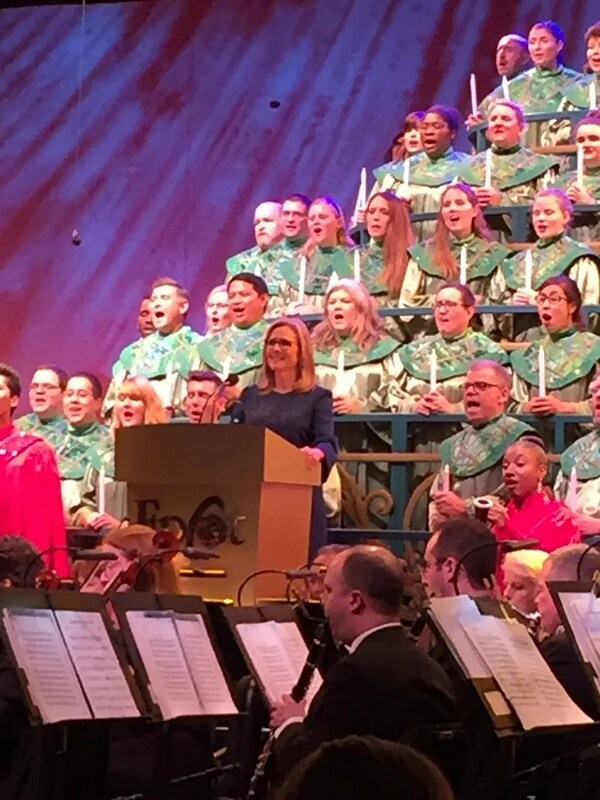 I loved his deep voice, as the Christmas story felt like it was being told by God. 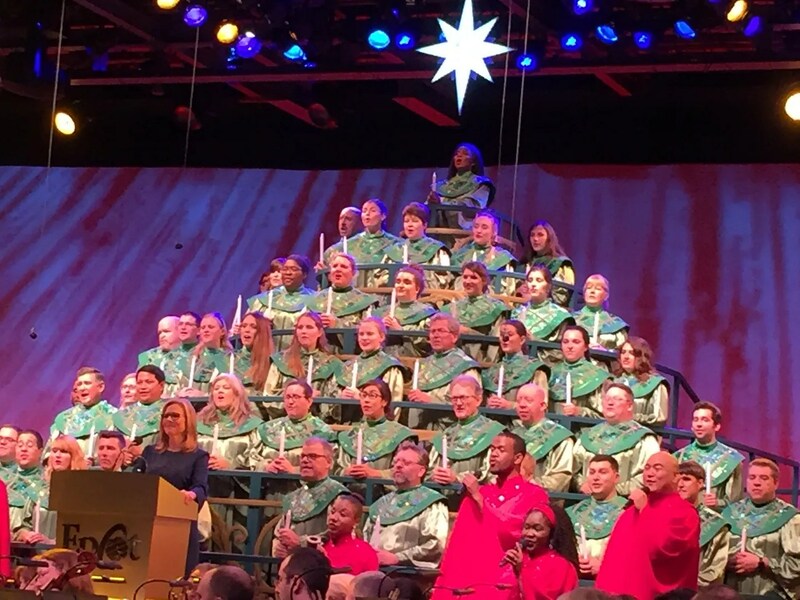 And that brings me to my most recent trip in December 2016, where I again saw the Candlelight Processional show twice. 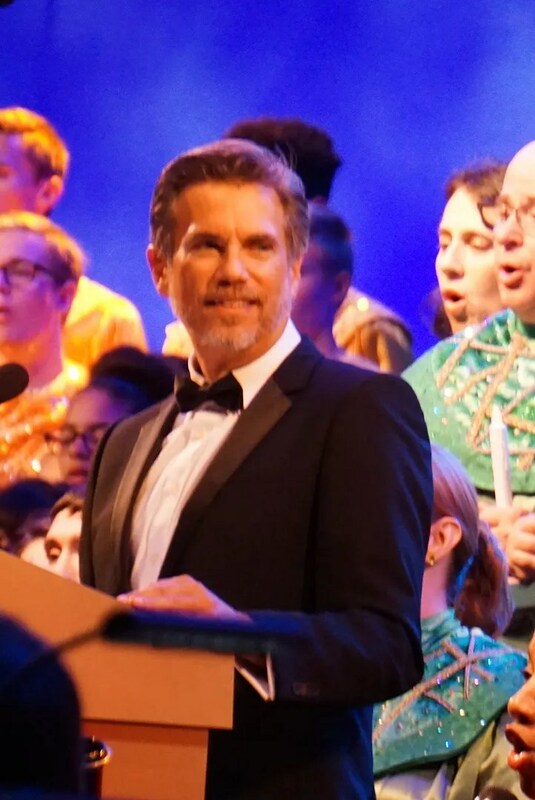 The first show had as the guest narrator, Robby Benson, my crush when I was 18 years old. When he was a late addition to the CP narrator schedule, I just had to add a second show to our trip. While she did a fine job of narrating, I preferred Robby Benson’s rendition from the night before. 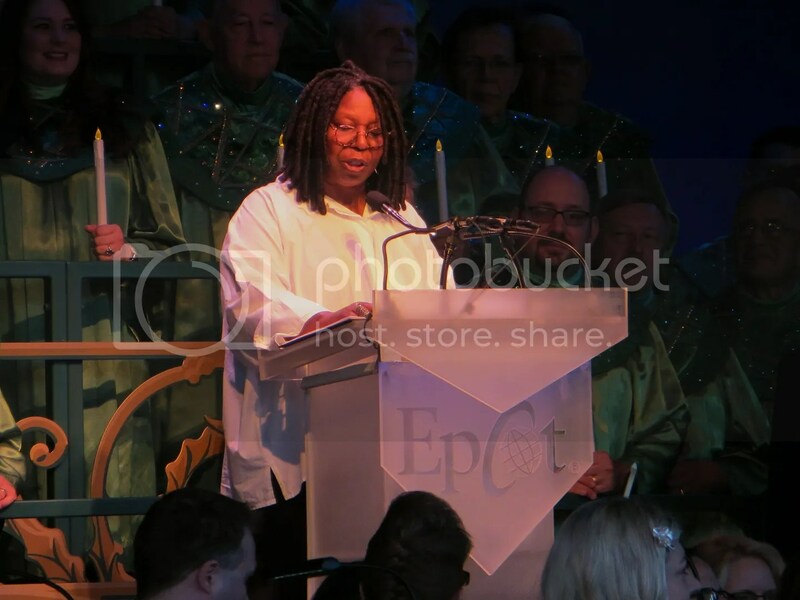 However, my all-time favorite narrator is still Whoopi Goldberg!